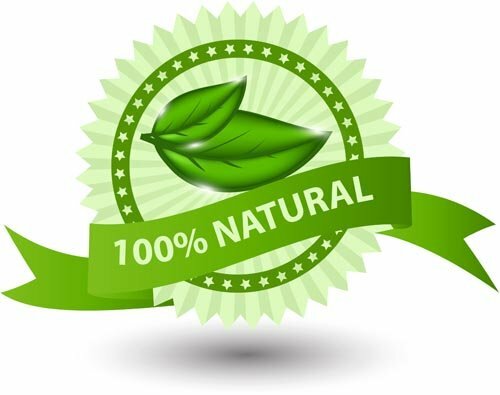 Contains a complete 1000 mg per serving of Garcinia Cambogia with Super Citrimax® HCA with absolutely No fillers, No additives, and No sugars. The fruit has been named by some as a super-food, and also goes under the names of Mangosteen, Brindal Berry, Gamboge, Gorikapuli, and Malabar Tamarind in various parts of the world. Often used for diet and weight loss, Garcinia Cambogia extract has been shown in clinical studies to have positive effects on increasing the metabolism - as well as increasing fat oxidation (fat loss). Garcinia Cambogia Ultima works by preventing energy from being stored into fat cells, accelerates the metabolism for faster energy consumption, and suppresses the appetite for more carbohydrates. 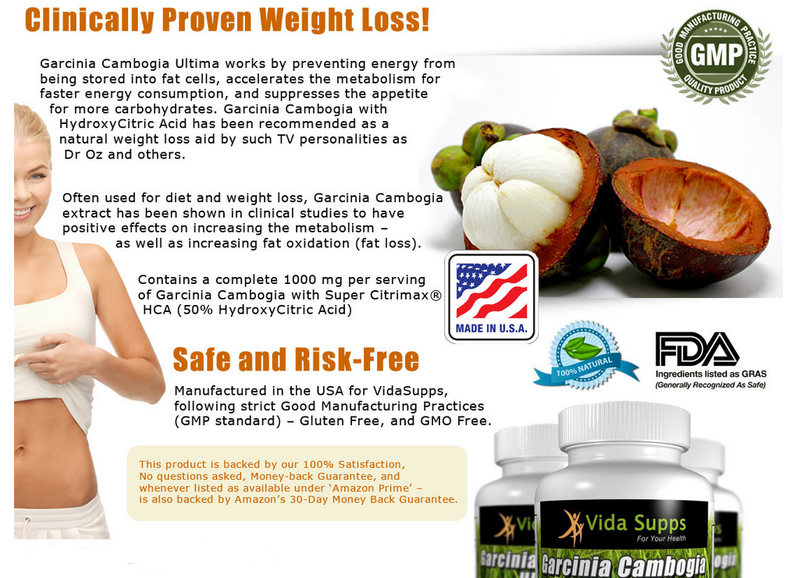 Garcinia Cambogia with HydroxyCitric Acid has been recommended as a natural weight loss aid by TV personalities. 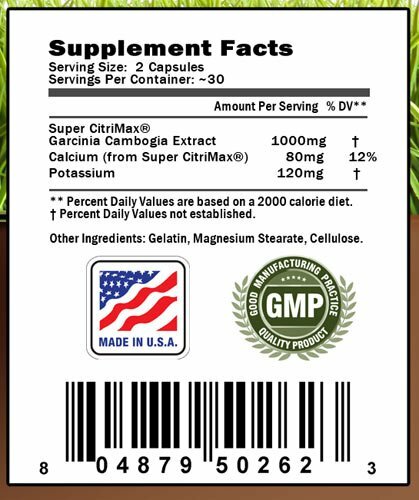 VidaSupps is in no way affiliated with Dr Oz and is making no claims stating any relation to Dr Oz or any endorsement of this product. The fruit rinds of Garcinia Cambogia has been used for centuries in India and Southern Asia for its natural properties and health benefits.